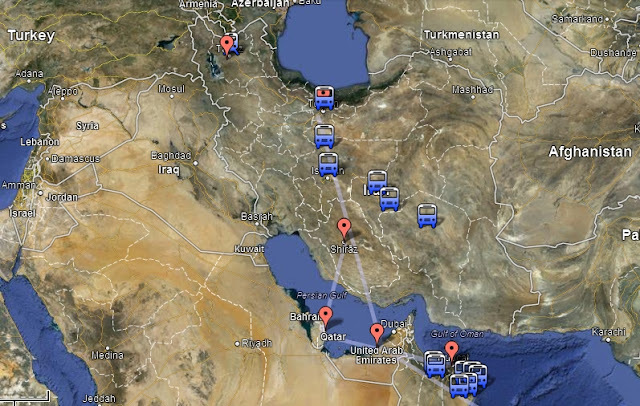 Kane and Narelle's Iran Trip - 2013: As north and east as we go! 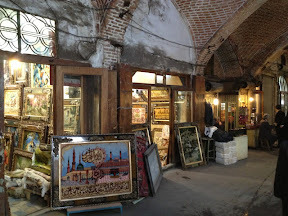 This blog is two days old and is out of order...this is the arrival day in Tabriz. After a painful overnight bus journey we arrived in Tebritz. My seat was slippery and every 5 minutes or so i ended up having to sit up. 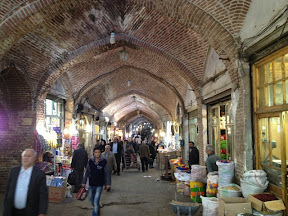 Tebritz has two things that we want to see and this morning we set out to see the first; the World Heritage building where the bazaar is located. Although not the major 'wow' factor we were expecting the long alleys and arched brick ceilings were a real delight to see. The people look a lot different here than areas to the south. The facial features are more prominent (huge proboscis's) and they are considerably taller. I suppose Turkey, Iraq, Azerbaijan and to a degree Arminia are not that far away so they have had an obvious influence in this region. 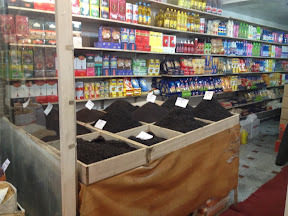 This shop had hundreds and hundreds of fresh and packed tea. The smell was wonderful. The sheer amount of detail that has gone into planning this trip amazes me, as its not so easy to look up "the 10 best things to see in Iran."